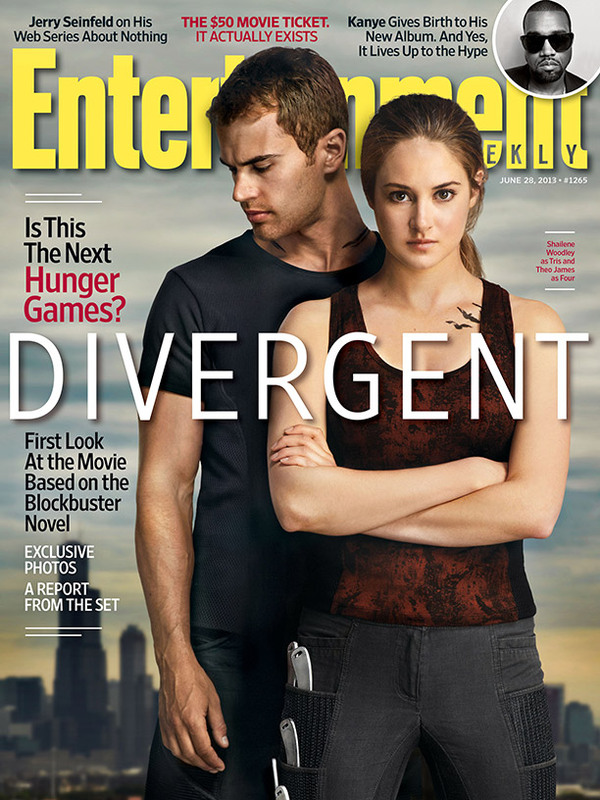 Entertainment Weekly has revealed this week’s cover, which features Shailene Woodley and Theo James as Tris and Four from the upcoming film adaptation of Veronica Roth’s Divergent. 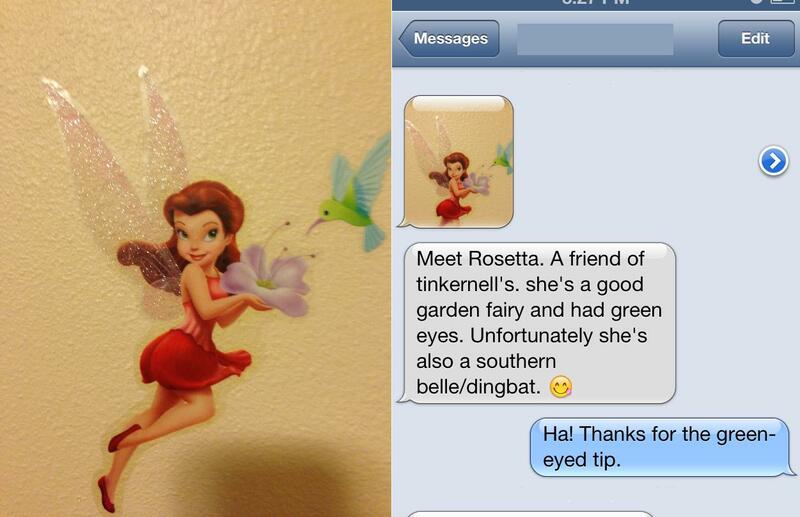 But let’s start with the positives: the background is fantastic. A dystopic Chicago skyline, just like the American book covers have featured. I’m glad that Four is included and it isn’t just narrator Tris, the way Katniss appeared solo in EW’s first look at The Hunger Games. Thank goodness Tris isn’t portrayed wearing nail polish, because she wouldn’t. It’s good that the title word is featured boldy, and I like that the font and color remind me of the way it appears on the book cover. And the text on the left promises we’re about to get more pictures from the set, which will be great. However. 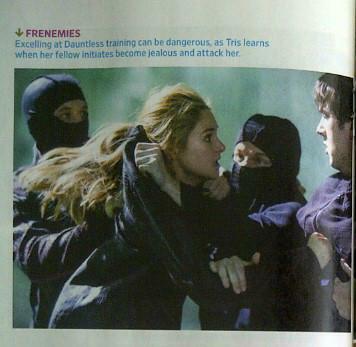 I hate the total lack of connection between Four and Tris in this pose. Did they even take this picture together, or where they photoshopped into the same frame?! They have Tris, whose casting I’m still iffy about, giving us a steely stare in an effort to convince us she’s so tough and Dauntless but they deprive us of Four’s eyes which, lets face it, is what we really want to see. And not only is he looking away from the camera, he’s looking away from Tris! There’s nothing about their body language that hints they’re going to be a couple, except the fact that they’re on a magazine cover together. 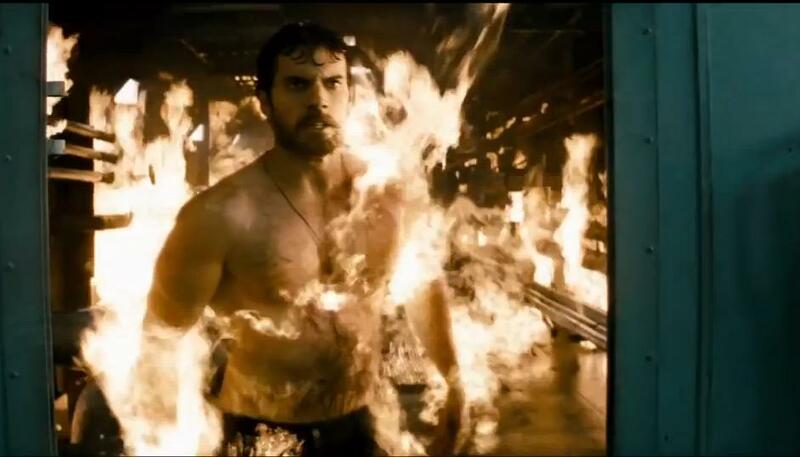 This glimpse of Four is basically the same as the one other picture revealed so far, except we see a piece of his Dauntless logo back tattoo curling up around his neck on both sides instead of just one. This is the best view we’ve gotten so far of Tris’s raven tattoos, and while I think they’re okay I’m disappointed at the direction they’re flying. She gets the ravens to commemorate the family members she leaves behind when she chooses the Dauntless faction, along her collarbone because it’s close to her heart. I can’t remember if the text specifics the direction of their flight or not, but I always imagined them going towards her heart, not away from it. Flying away from her heart makes the whole thing sadder and more pessimistic, like they’re getting further away from her even as she tries to hold them close. I realize that’s an extremely nit-picky criticism, but while I’m at it, Four’s hair looks like it’s thinning on top. And speaking of hair, why does it look like Tris is wearing a wig? Was her hairline photoshopped to be a little too perfect? And I don’t like her pants. 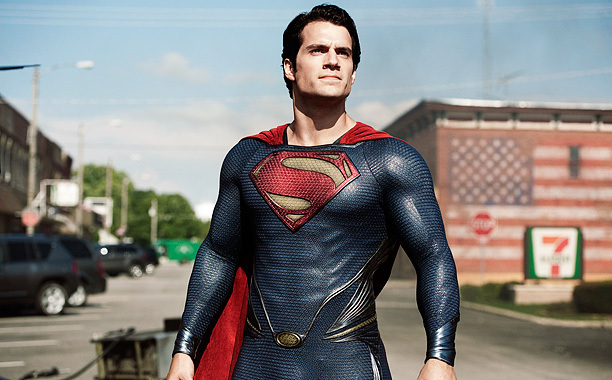 Why do movies always feel the need to make costumes different from regular clothes, when the setting doesn’t require it? 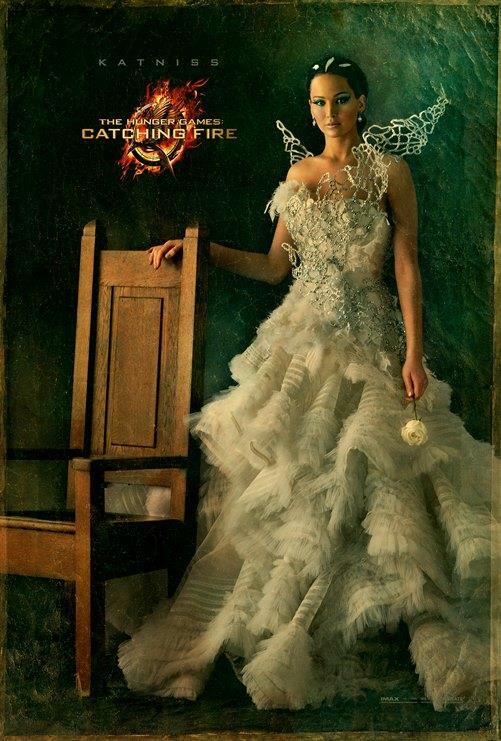 I guess costume designers need something to do. But the Dauntless initiates don’t walk around with knives in their over-pocketed pants. And these pants are almost gray, but she should be wearing all black. So the shirt is the wrong color too. In conclusion, I am a curmudgeonly old fan of the young adult genre and I will never be satisfied. Unless maybe one of the photos inside the magazine is a really awesome one of Four; then I might forget all the negatives and swoon over its perfect capturing of his good looks plus self-determined resolve plus sensitivity. No pressure, Theo James. 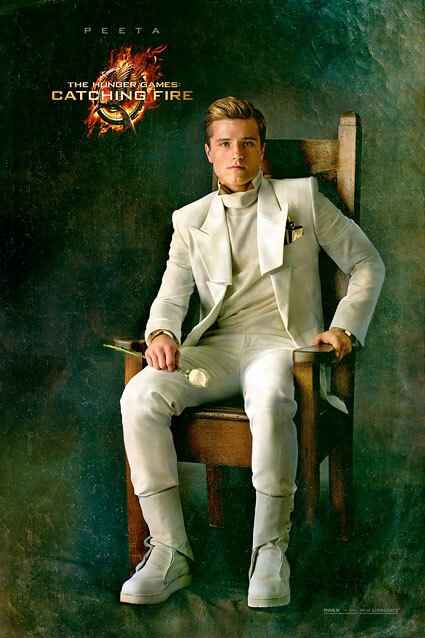 There are some more pictures up now on EW’s website, but I’m not really feeling any more optimistic about them. The one I’m including below has got to be the derp-iest running ever from both of them. Worst, most tone-deaf moment in Divergent movie marketing so far. But I understand now what Tori said about her tattoos representing a fear she overcame–a reminder of where she was, as well as a reminder of where she is now. Maybe there is a way to honor my old life as I embrace my new one. I touche my collarbone, marking the path of their flight–toward my heart. One for each member of the family I left behind. I know I’m way late to the game with this post about my reaction to the castings for the Divergent movie, since they’ve already been filming for about a month now. And I’m behind in general on this blog–sorry! Part of the reason is that I hate to post sub-par content, so when I don’t have time to really polish and fully research a topic, it lingers in draft-land for ages. The other reason is that I did a half-marathon (my first!) this spring and training for that took up a lot of time that might have otherwise been spent writing. Also I’m lazy and I don’t get paid for this blog so sometimes I choose to watch netflix instead. But still, I’m sorry I dropped out of action for awhile there and I’ll try to finish more of my lingering drafts soon and get them posted. So, Shailene Woodley has been cast as the books’ narrator, Beatrice “Tris” Prior. I am “meh” about this casting; Shailene seems to be landing roles all over the place lately, so I’m sure she must be talented. I just haven’t seen much of her work, and I don’t really get a Tris vibe from her at all, maybe partly because I know she’s a hollywood actress who has been on lots of red carpets and at the oscars and stuff, which doesn’t match one of the things I related to about Tris’s background of being raised in a strict, selfless, conservative environment. But I know it’s a movie and good acting means you don’t have to be like the character in real life, so I’ll wait for the movie to come out and hope she surprises me. 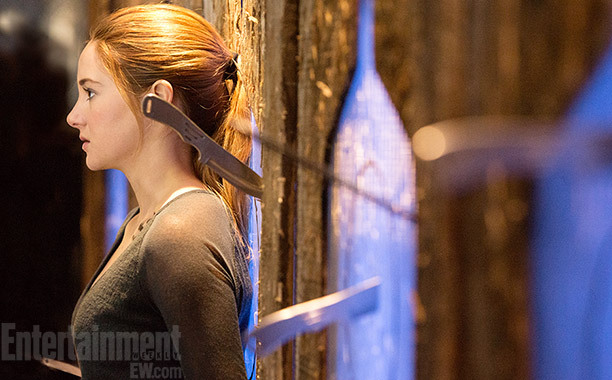 The first official image released for the movie featured Tris in the knife-throwing scene found in chapter13 of Divergent. Veronica Roth has also released a re-written version of this scene, told from Four’s perspective, titled Free Four. You can read it online or download it to kindle. 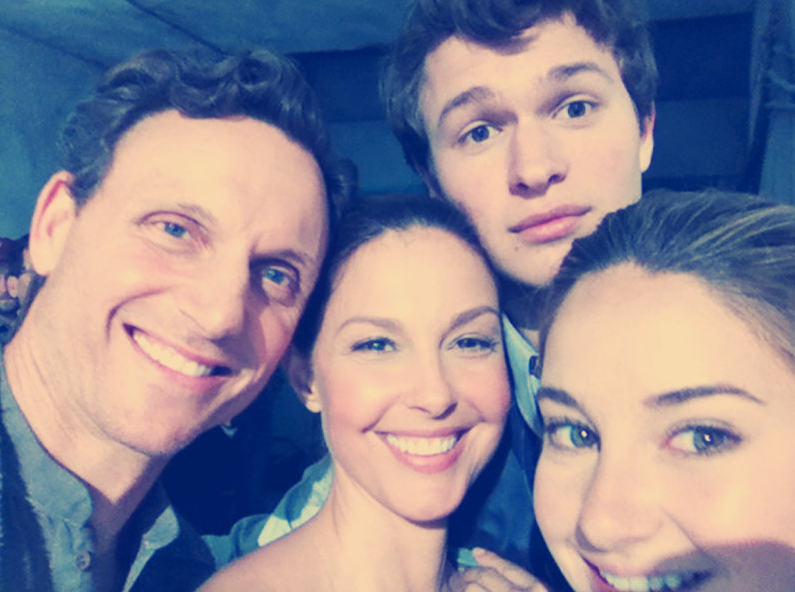 Ansel Elgort, who is playing Tris’s brother Caleb in this film (but will also star with Shailene as the Augustus Waters to her Hazel Grace in The Fault in our Stars) tweeted a picture of the Prior Family the other day, with Ashley Judd and Tony Goldwyn as their parents. I think they do look like they could be related. I hope the actors are able to make me feel as strongly about their…I’ll juts say “choices of actions”, to avoid anything to spoilery–at the end of the first book. 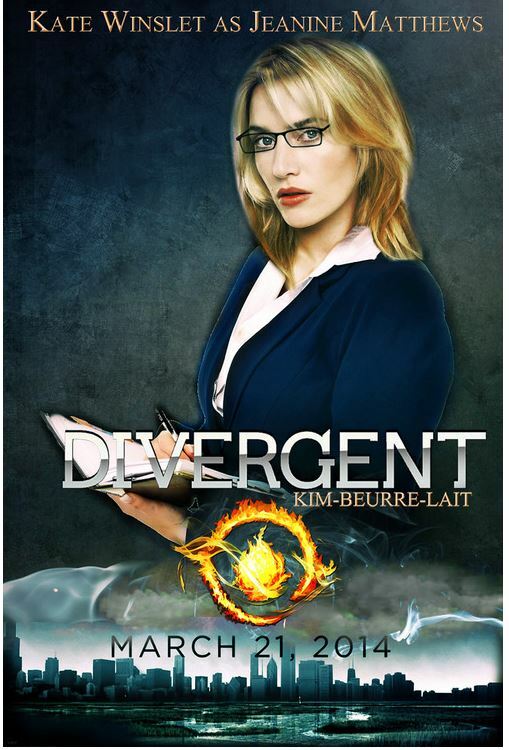 One of the castings that I am most excited about is Kate Winslet in the role of villainous Erudite leader Jeanine Matthews. I think she will be a fantastic adversary for Tris, and I just hope the script allows her to have subtle complexities so she’s not a one-dimensional power-hungry monster. I think Kate Winslet is a good enough actress to be able to portray that in Jeanine’s mind, what she’s doing is for the collective good. A fan-made edit of Kate Winslet as Jeanine Matthews, from tumblr. Source for image. Maggie Q displaying Dauntless atitude as Nikita on the CW show. Another casting decision for this movie that could not be more perfect is Maggie Q as Dauntless faction member Tori. 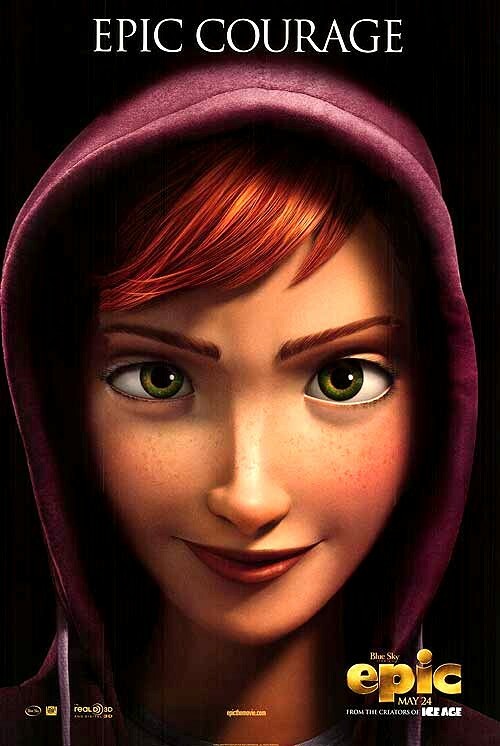 She administers Tris’s aptitude test, inks Tris’s tattoos, and warns her to keep her Divergence a secret. 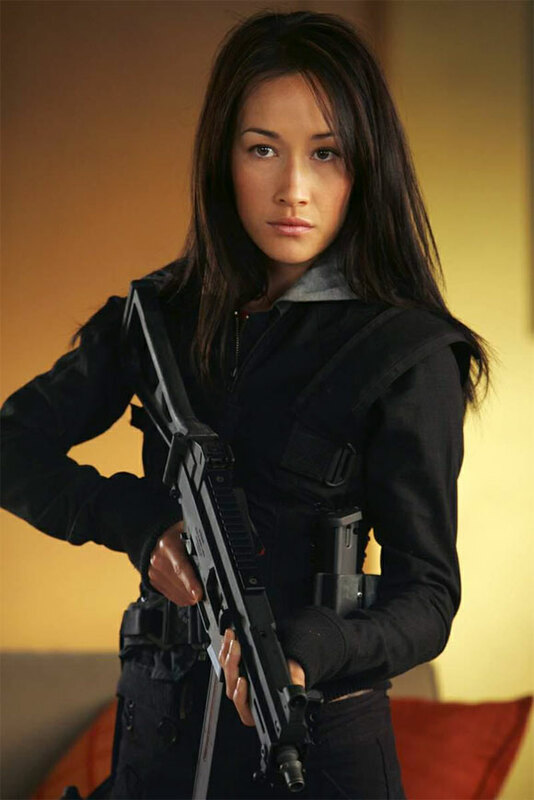 This casting is great for two reasons; one, if you’ve seen even a single episode of Nikita you know Maggie Q can totally pull off the Dauntless wear-black-shoot-guns-do-reckless-stuff attitude. Second, her inclusion (and that of Zoe Kravitz as Tris’s friend, fellow Dauntless initiate Christina), means that the character diversity in the books is not being completely erased in the translation to film. 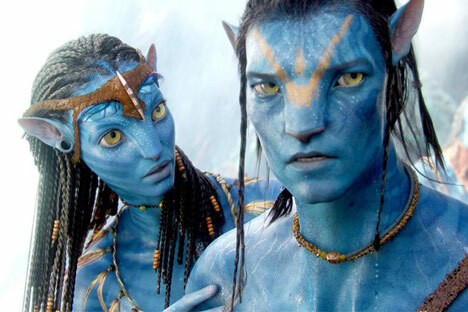 If the series ever gets turned into a movie, would you insist that the POC characters (biracial tobias, asian tori, and black christina, for example) are played by POC actors/actresses? …I really hate whitewashing. I really do. It’s VERY important to me that it not happen. And I have communicated that already, and will continue to communicate it as clearly as possible (even via interpretive dance or sternly worded limericks, if necessary), to the people who are involved with the Divergent movie stuff as it proceeds. So: if the Divergent movie happens, I promise I will USE MY WORDS to the very best of my ability. My only quibble with Zoe Kravitz as Christina is that it flips the size difference between her and Tris as described in the books. Tris is supposed to be physically tiny, and often underestimated because of it, while Christina is tall and confident, but in real life Shailene Woodley is several inches taller than Zoe, who is book-Tris size. 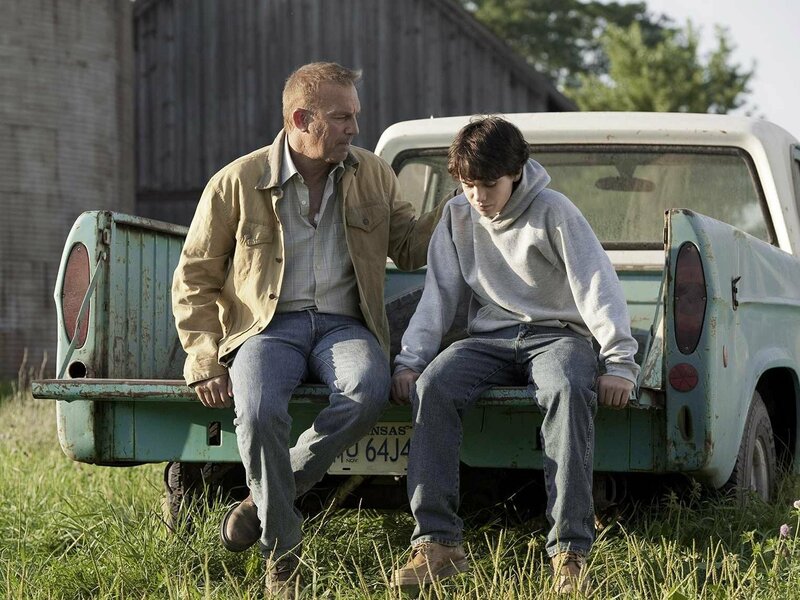 I don’t want to get hung up on the actors’ appearance because I know that the acting is the important thing, and there are movie magic tricks that can be done, but I worry that it might change their dynamic. I’ve saved the best for last. One of my top literary character crushes, the badass yet sensitive Dauntless would-be leader and my, I mean, Tris’s, love interest, known as Four, will be portrayed on screen by Theo James. I don’t have much to say about this other than I AM SO EXCITED, and fully confident that he will be amazing in this role. 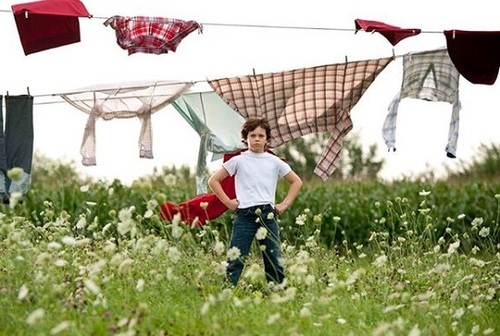 I mean, just look at him! 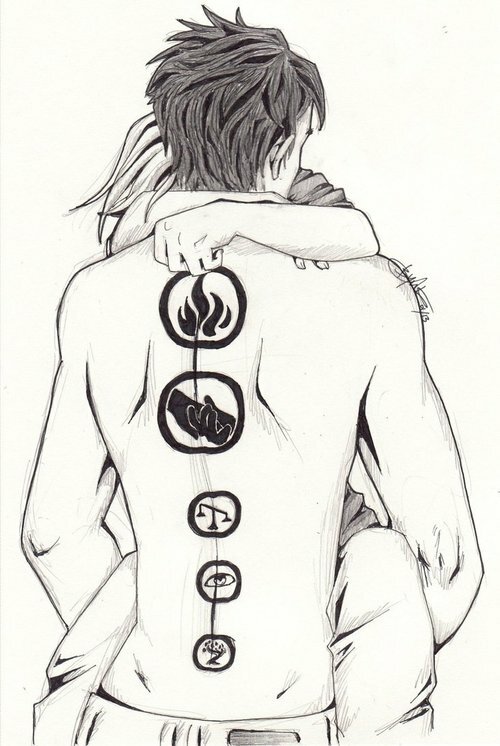 You know, my predominant emotion about Divergent being made into a film is excitement, and I think the casting of characters is pretty great, but I am a little sad that once the film is out there will likely be less original fan art like the talented pieces I’ve been collecting on my divergentfanart tumblr, since people will start to sketch scenes featuring the actors instead of basing their drawings on their own interpretation of the description in the book. 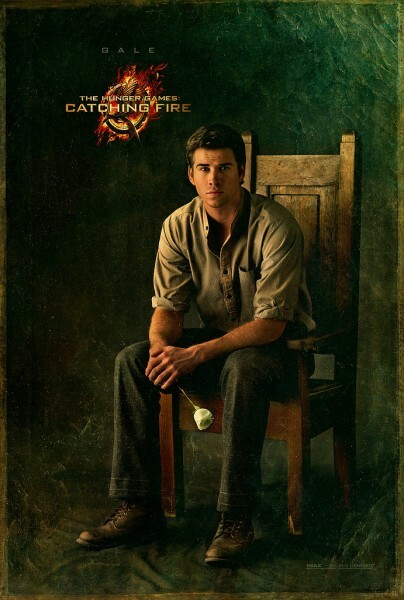 But then, it’s hard to be sad about the prospect of being forced to re-blog pictures that look like Theo James. I think I’ll survive. 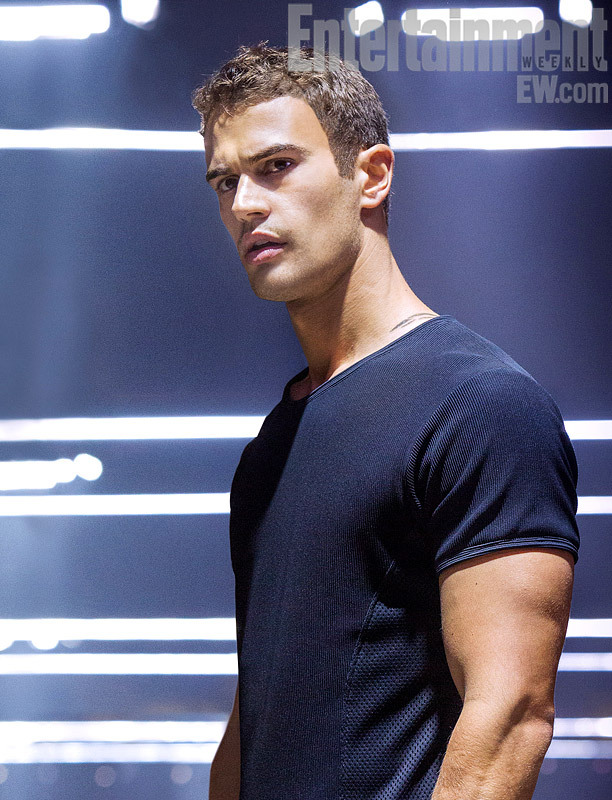 Which Divergent casting are you most excited about?